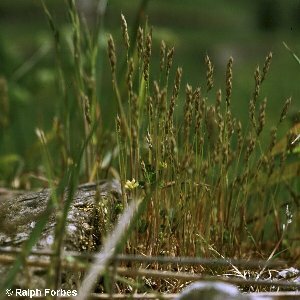 A small pale hairless annual grass species with bristle-like leaves and a tight spike-like inflorescence. 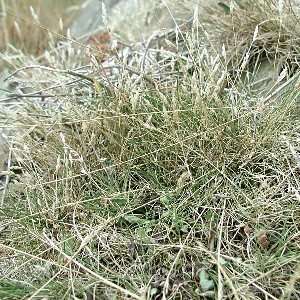 It is common on rocks and walls and other dry bare places. All names: Aira praecox L.